Welcome to your life insurance guide. This page will give you a good understanding of life insurance, and will inform you of savings opportunities while also providing a number of other useful tips based on our publications. We will also help you to ind best life insurance quotes across more than 20 top Canadian insurers. The main objective of life insurance is to provide financial funds in case an insured person dies so that their family members, significant others or any other beneficiaries can maintain their living standards. The secondary objective of life insurance (more sophisticated insurance types) is to serve as a financial vehicle accumulating value that can be recovered at a later point. 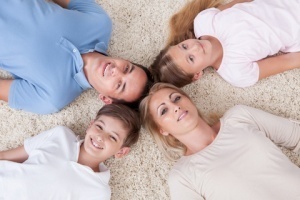 Below you will find an overview of the major life insurance types. Term insurance: This is the simplest life insurance type and typically the cheapest one. It works in a very simple way. You choose the length of the coverage, also called the ‘term’ of the policy (Term 10, Term 20, Term 50) in years, and if you die within this time period, your beneficiaries will receive the coverage amount. For example, life insurance quotes for Term 10 policy ($500,000 coverage) start from $19 / $25 monthly for women and men respectively. Whole life insurance: It is a type of a permanent life insurance that covers you as long as you live. Typically, you will be pay consistently higher premiums since, in the early years of your policy, it should accumulate enough value to off-set later, higher insurance risk. Your premiums will not change throughout your life. You can also terminate the policy (‘surrender’) if you want, and get part of the accumulated funds, or you can sometimes borrow money against your policy’s cash value. Find out more about Whole Life Insurance. Universal life insurance: This is another type of permanent life insurance. It is quite similar to whole life insurance, meaning that it stays in place until you die or decide to terminate (surrender) the policy. The difference is that you can choose the amount of premiums that are paid into the cash accumulation part of your policy. Find out more about Universal Life Insurance. Term 100: Despite its name, this is another type of permanent insurance, since it stays in place for your whole life as well. The difference is that there is no cash value accumulated through this policy and thus it can have lower premiums than whole or universal life insurance. Standard life insurance: This type of insurance requires both a medical exam and completion of a medical questionnaire when getting a policy. As a result, the insurer knows more about your health, which reduces the insurers risk and offers lower premiums than the other insurance types described below. Simplified issue life insurance: This type of non-medical insurance does not require a medical exam, but you will still be required to complete a medical questionnaire while getting life insurance quotes. This policy is more expensive and makes sense to consider if your current health condition would make it hard to get a standard life insurance policy. Find out more about Simplified Issue Life Insurance. Guaranteed issue life insurance: This type of non-medical insurance does not require a medical exam nor the completion of a health questionnaire when you complete life insurance quotes, but it would most likely result in the highest premiums (for the same coverage) and the size of coverage might be limited (e.g. $25,000). Find out more about Guaranteed Issue Life Insurance.